Ezeilo obtained his PhD in 1958 at Cambridge University. 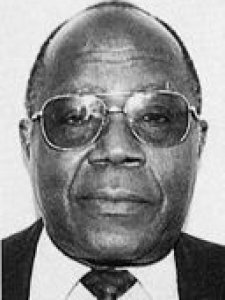 He is professor of mathematics at the University of Swaziland in Kwaluseni and has been an honorary consultant for the National Mathematical Centre in Abuja, Nigeria. His previous positions include: Lecturer, senior lecturer and prof., Univ. of Ibadan; prof. and vice chancellor, Univ. of Nigeria, Nsukka; vice chancellor, Bayero Univ. ; director, Natl. Mathematical Ctr. in Abuja, Nigeria; and visiting prof., Univ. of Botswana. His awards include: Natl. Honour of the Commander of the Order of the Niger; Nigerian Mathematical Society Award; Gold Medal, Natl. Mathematical Ctr., Abuja; and hon. degrees from 3 universities. His membership includes: Nigerian Academy of Science; African Academy of Sciences; Mathematical Assoc. of Nigeria; Nigerian Mathematical Society; London Mathematics Society; and the American Mathematics Society. Keywords	 Qualitative properties of solutions of ordinary differential equations.